Windows Phone didn’t exactly have the same fruitful results as Microsoft might have hoped and the software giant is now focussing to master its products for other mobile operating systems. The feature automatically aligns text in a Word document to fit the screen size of iPads. It also naturally adjusts the contents of the file when Word is being used in the Split View so that users don’t have to do it manually. Microsoft has crafted these special tools to help users improve their reading skills and speech delivery. Learning Tools for Word on iOS allow users to play with Column Width and Page Color to ensure the best possible readability. Microsoft notes that optimizing these attributes helps with improving focus and comprehension of the words. Further, Read Aloud should help users grasp the correct pronunciation of words. Please note, you require an active Microsoft 365 account to access these tools. New Accessibility settings in all three apps help adjust text size and add voiceover to make reading and editing easy for differently-abled users. Users creating or editing presentations on-the-go on their iPhones and iPads can now find out who has worked or is currently working on a collaborative presentation. Users can also chat with active users. 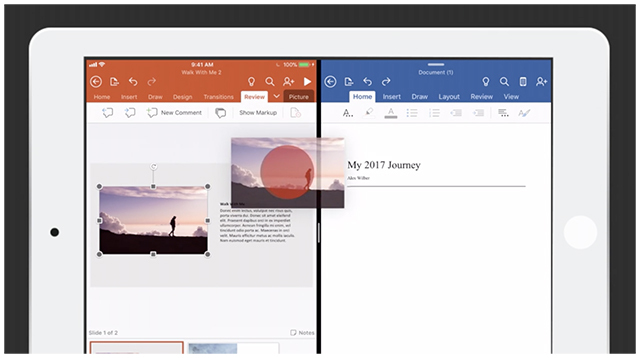 The intuitive drag-and-drop feature, introduced in iOS 11, allows easily sharing files between different applications and now supports Office 365 apps. Users can seamlessly drag images, text, and other objects among office apps or to-and-from other third-party apps. It must be acknowledged that this is only a preview build and these features will be rolled out all users based on collective feedback. 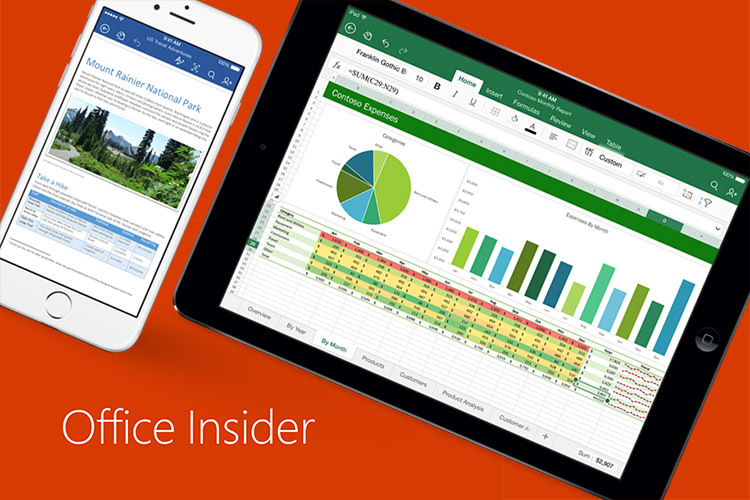 If you wish to give these features a try, you can enroll yourself in the Office Insider Program for iPad and iPhone.